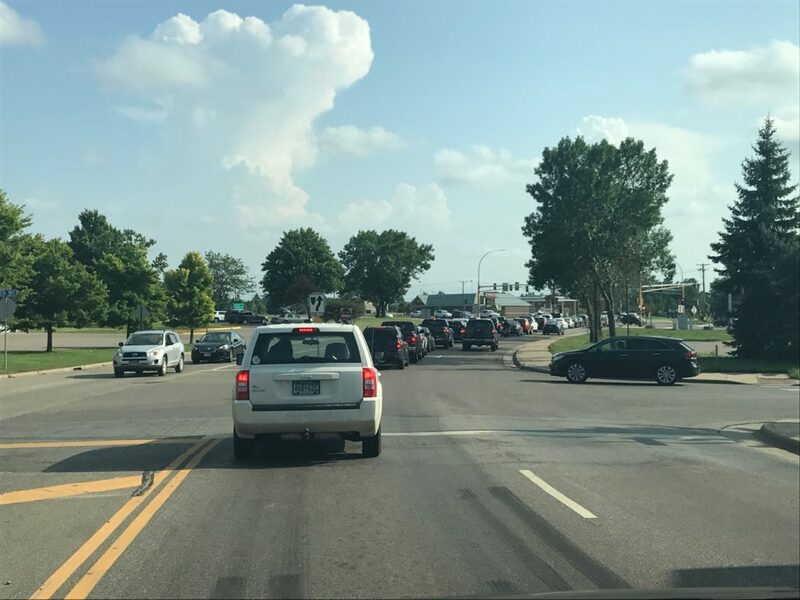 Due to heavy traffic volumes and signals at Fairoak Avenue and Thurston Avenue, Highway 10/169 experiences severe traffic back-ups, travel delays, and over 100 crashes per year with at least one crash during a peak period, resulting in delays stretching for miles. Pedestrians also cross Highway 10/169 at unsignalized and unmarked locations because of delays or inconveniences at signals. 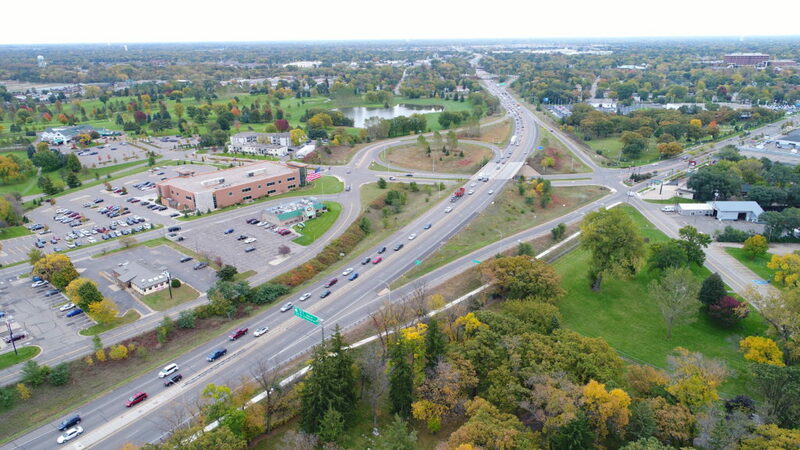 This project will reduce traffic crashes, improve efficiency, relieve congestion, improve local circulation and connectivity, and provide pedestrians with walkways to local destinations. 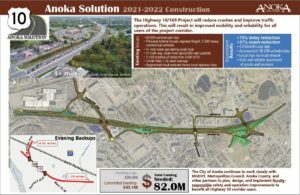 Delays in Anoka will be reduced by 75% and crashes will be reduced by 57%, according to projections. 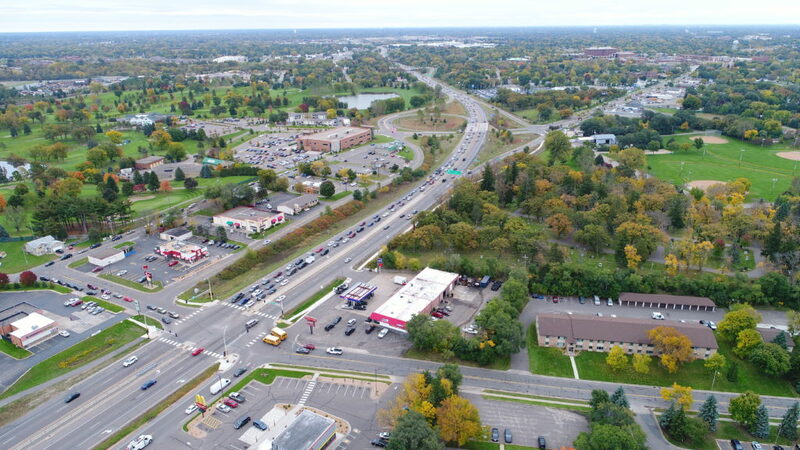 The Highway 10/169 Improvement Project extends between the Anoka/Ramsey city limits and the Main Street interchange. Road construction will take place in 2021-2022. Key project elements are listed and shown below. Please click to enlarge. 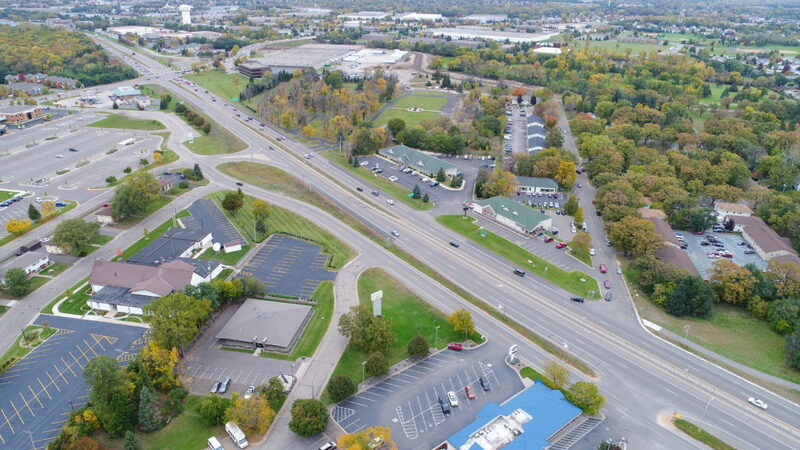 Thurston Avenue traffic signal will be removed and replaced with an interchange. Fairoak Avenue traffic signal will be removed and replaced with an underpass. West Main Street will be extended. All other access points on the highway within the project area will be removed. Local frontage roads will be improved to provide options for local trips.